4wd wreckers-Best Cash Ensured for Damaged Four Wheel Drives in Brisbane! This is the right time to approach us and receive an attractive price for your 4WD vehicle or any other cars. Having an unused car in the house is a real burden and every owner wants to get rid of that. 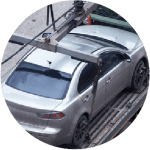 In Brisbane, the owners prefer to get in touch with car wrecking or car removal service and if you want a company that you can contact from anywhere in Brisbane, this is the place. 4WD Wrecking in Brisbane is one of the most trusted and appreciated 4WD car wreckers in the city and you can contact us anytime by simply dialing 07 3108 2743 and we will be right there! The Best Deal For Your 4WD Is Now Assured! 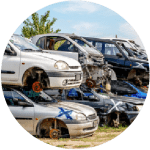 No wonder, when it comes to car removal or car wrecking service from anywhere in the world, the first and the foremost important concern of every individual is getting a good deal. If you are looking for one, you have visited the right place. We ensure the best car wrecking deals in the entire Brisbane city and the best part of our service is that we accept the four-wheel drives in any condition. 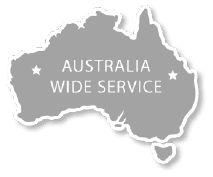 If you have a damaged or wrecked or old or even a completely broken down 4WD in your house, you just need to give us a call and our guys will be there to pick your vehicle. A damaged car is of no use and you know that. This is the right time that you hire for a removal service and find the best deal for your vehicle. 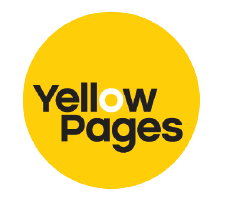 Here you will find the deal that you are looking for. We have the experts to help you get the best deal with the most attractive cash benefits. 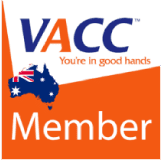 You can really earn a good amount of cash from your damaged vehicle and the reason we are so preferred by the owners in Brisbane is that we provide the most convenient deals to the customers. No owner wants to bear with the hassles of the removal service and they also want to accomplish the task as suitable and as quickly as possible. We provide the best solution in this regard. We accomplish the removal process as fast as we can and on various conditions, we have accomplished the process within the same day as well. This serves a great relief to the customers since they can easily remove their old 4WD from us. Why we pay you to cash for the 4WD wrecking service? Car wrecking is no doubt a daunting task and without the help of the professionals, this is not possible. 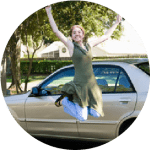 Now, you might be thinking that why we are paying you for an old or damaged car, this is because we know the right sources to make the best use of your old car. We often recycle, repair or resell the cars and according to the present conditions of your 4WD vehicle, we pay you the price. We follow proper guidelines to recycle or resell your car and we are insured to do that in anywhere in Brisbane. There are so many parts of even a wrecked car that can be recycled and we focus on that. We also sell the used parts of the car and we have a large inventory of various car parts that you can choose from. If you are looking for a quote for your old and wrecked 4WD vehicle, you need to contact us at 07 3108 2743. You will receive your quote within the shortest possible time. The exciting fact is that you can avail free towing service from us. Moreover, you can receive friendly and fast service with the instant cash transfer. So, if you have a damaged 4WD vehicle in your house, feel free to get in touch with us for the best deal in Brisbane! Visit To know about wrecking yard.